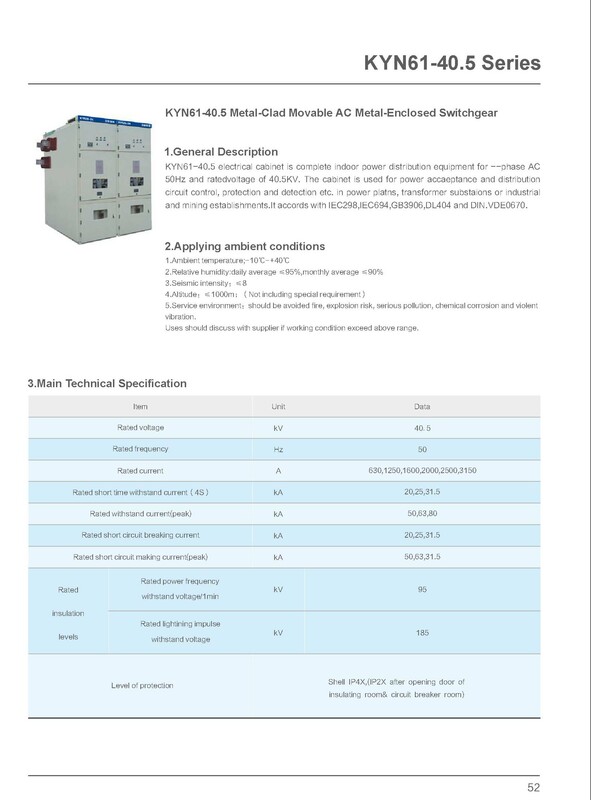 KYN61-40.5 type Switchgear is the latest generation of indoor complete power distribution equipment with three phase AC 50Hz or 60Hz, 40.5kV single busbar section system. 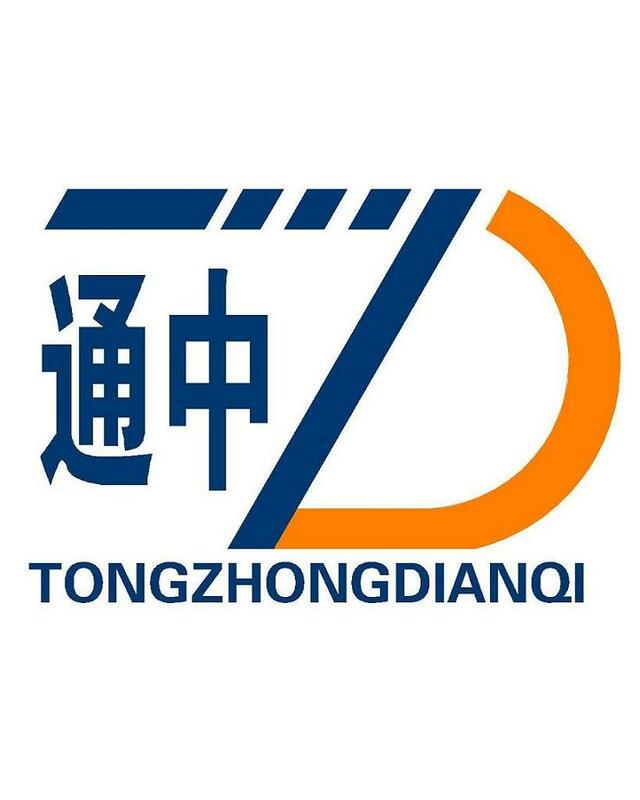 It is mainly used in power plant, substation, industrial and mining factories, as well as high-rise building, for power reception and power distribution, with functions of controlling, protecting and detecting electric circuits. ● Completely metal-clad and enclosed, prevent the accident spreading. The low voltage section and the high voltage section are full individual. ● The protection degree with the door closed is up to IP4X. ensuing persons safe and the switchgear operated reliably. ● Install and maintain conveniently with the cable compartment enough space. ● The interlocks are simple and reliable and prevent maroperation effectively. ● Equipped with advanced relay-protecting device and can realize the power system automatically. ● Full assembled structure, handsome figure and high precision process. double-side maintenance is convenient and reliable. busbar compartment and cable compartment. Thus ensure persons safely and prevent accident spreading when electrical arc occurs due to fault. 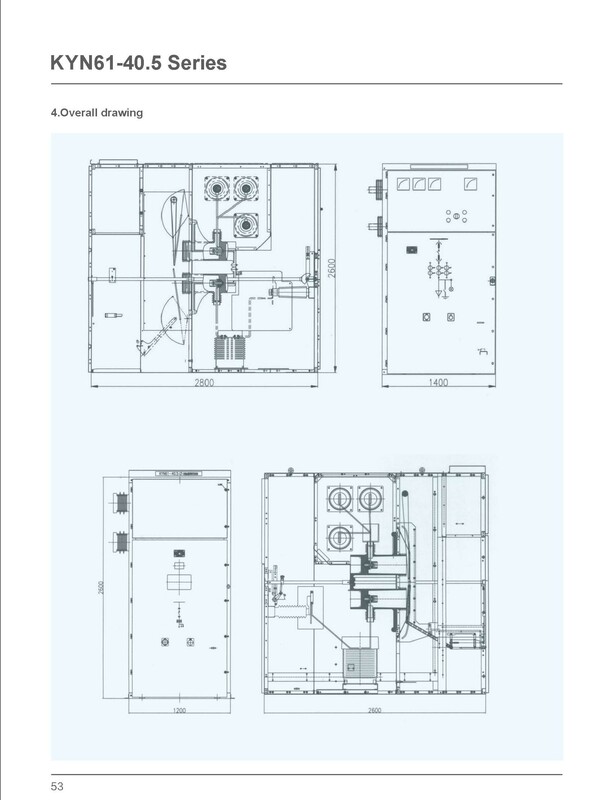 Looking for ideal HV Metal Enclosed Switchgear Manufacturer & supplier ? We have a wide selection at great prices to help you get creative. All the 40.5kV Switchboard Panel are quality guaranteed. 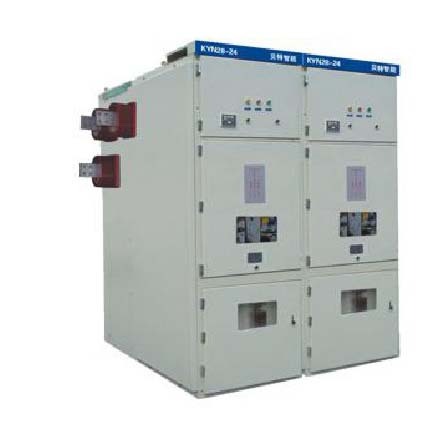 We are China Origin Factory of 40.5kV Withdrawable Switchgear. If you have any question, please feel free to contact us.